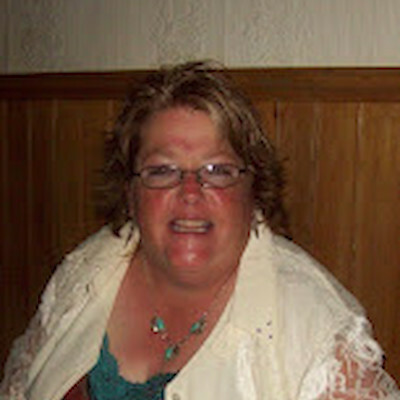 Connie Jean Mireau Age 59, of Rice Lake, WI, died Thursday, April 4, 2019 at the Mayo Clinic Health System Northland Barron, WI. She was born on January 8, 1960 in Racine, WI to Stephan and Vergean (Windsor) Stewart and lived there till she was 14 and moved to Spooner with her parents that owned a resort on Spooner, Lake. Connie graduated from the Spooner High School in 1978 and was married to Donald Mireau on April 17, 1982 at Our Saviors Lutheran Church in Campia, WI. She worked for Holsum Bakery, McCain Foods, Wal Mart and was a CNA for Heritage Manor and for Lakeview Medical Center in Rice Lake. She loved her grandkids and adored her son, daughter-in-law and his friends. She is survived by her husband, Donald Mireau of Rice Lake ; a son and daughter-in-law, Don “JR” and Krysti Mireau of Rice Lake; 2 grandchildren, Jarett and Kodi Mireau; her mother, Vergean Stewart of Rice Lake; a sister, Cathy Stewart of Rice Lake; a brother, Curtis Stewart of Spooner, WI; many nieces, nephews; and great nieces and nephews. She was preceded in death by her father, Stephan Stewart; a sister, Carla Kay Stewart and a great nephew, Watson Stewart. Funeral Services will be held at 2PM Monday, April 8, 2019 at Appleyard’s Home for Funerals in Rice Lake, Rev. Chris Sesvold officiating, with interment the Our Saviors Cemetery in Campia, WI. Visitation will be held from Noon-2PM Monday at Appleyard’s Home for Funerals in Rice Lake. There will be a luncheon after the cemetery at the Blue Hills Masonic Lodge in Rice Lake. In lieu of flowers, memorials would be appreciated to the family.